Zoya Mod Mattes Collection 2011: The incredible Zoya mod mattes LE shade collection has been expanded with three new bright LIMITED EDITION beauties. Get all of the color, none of shine with modmattes LE, Zoya’s exclusive blend resulting in utterly wearable and truly stylish matte nail polish. 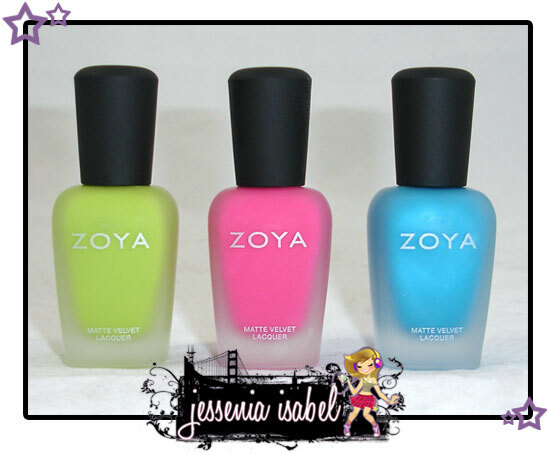 Matte Nail Polish color by Zoya is intended to be worn with a base coat, but not a top coat or speed dryer of any kind. Due to the unique matte Zoya Matte Nail Polish color is not as long-wearing as traditional nail color. A completely clean, dry nail surface yields the best results for matte nail color wear. For best results make sure to always prepare nail with Zoya Remove (3-in-1 nail polish remover, nail plate cleaner and new color prep) prior to applying color. 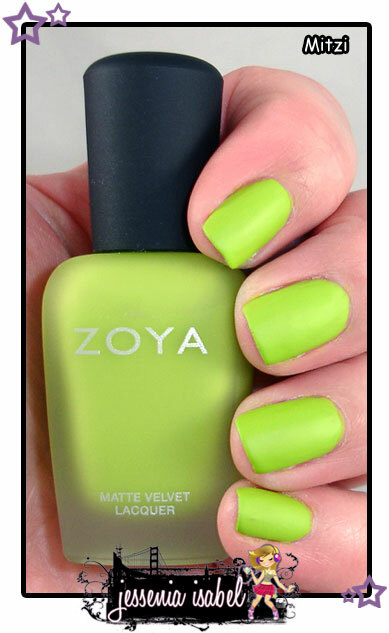 Color Description: Zoya Matte Nail Polish Mitzi can be best described as: Funky murky light yellow-toned lime green cream with a velvety matte finish. A new edgy, fun, bright type of matte for a retro mod look. 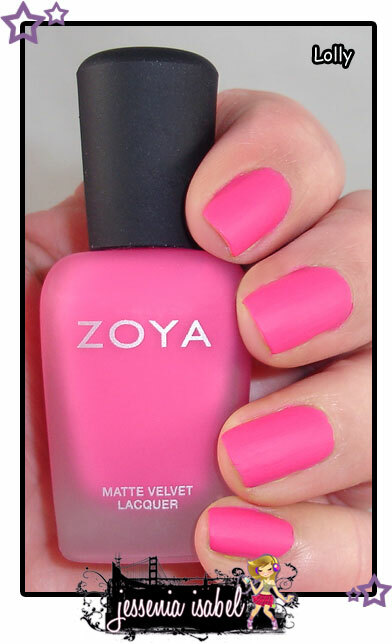 Color Description: Zoya Matte Nail Polish Lolly can be best described as: Bold, saturated medium magenta pink cream with a velvety matte finish. A very colorful new matte style for perfect stand-out Barbie pink nails. 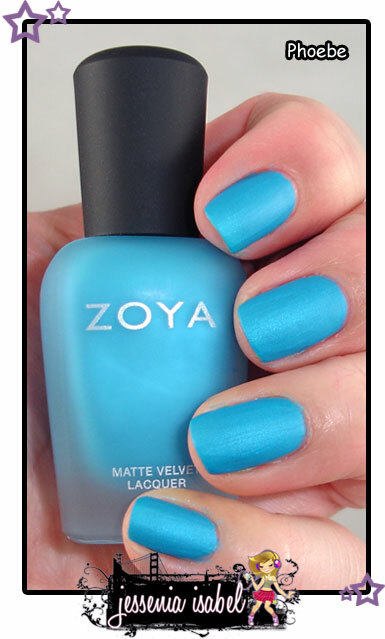 Color Description: Zoya Matte Nail Polish Phoebe can be best described as: Bright azure with fine electric blue and violet shimmer with a velvety matte finish. The matte finish amplifies the bright color; this is a matte that positively glows. The swatches above were shown with three coats. I love these bright colors, especially Phoebe which has a bit of shimmer to it. Although these are mattes and are meant to be worn without a top coat, I still was able to go five days before one of my nails got a small chip. Pretty good! I LOVE these! I really am liking the matte polishes...I have two China Glaze neons that are matte and I really love them! I love matte nail colors! Beautiful swatches. =] Subscribing!